The Grades 3-4 printed curriculum for winter includes materials for December 3 through February 25 for 2017-2018. For this product, you will receive one bound, printed copy of the curriculum for each season and the curriculum will not be available as a download. Resources include leader guides, biblical background for teachers, reproducible resource sheets, age-appropriate activities, music lyrics, and full-color visuals from a printed color pack for each week. If you have multiple classes of this age level, additional color packs are available for purchase. A sample session for Grades 3-4 is available here. A yearly music CD is also available as a separate purchase. Please note that color packs do not ship immediately. They are shipped 4-6 weeks prior to the beginning of each new season. 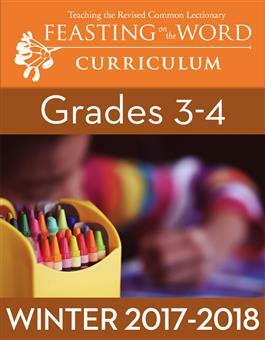 If you order the curriculum in the middle of a season, you will receive that season's color pack within 1-3 weeks.